Go from dim and cloudy to crystal clear! Removes years of oxidation. Restore your headlight quality with one easy wipe! With Wipe New Headlight Restore, as seen on TV, your headlights go from dim and cloudy to crystal clear! Removes years of oxidation. Plus Wipe New Headlight Restore continues to work after application keeping your lights clean and bright. 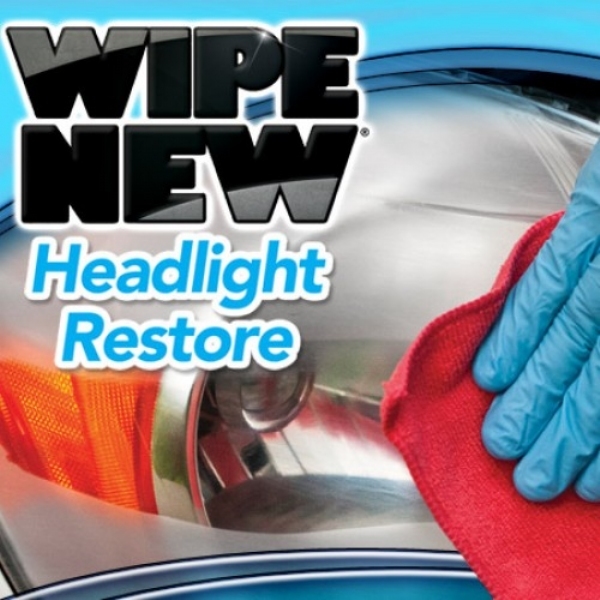 Wipe New Headlight Restore is the cure for aging and fogging headlights. The maintenance of vehicle headlights can often be overlooked or taken for granted, resulting in poor illumination at night. With Wipe New Headlight, you&apos;ll see the road like never before and have increased reaction time and visibility. Wipe New Headlight Restore is easy to apply and lasts through hundred of car washes. Wipe New Headlight Restore Kit includes one precision Wipe-It, one professional lens polishing pad, one pair of nitrile gloves and one microfiber towel for a beautiful streak free finish. The item can be messy if you don&apos;t take your time. It works as it claims. Read the directions first and follow them. I would not recommend spilling on paint. A certain amount of buffing is required to get a great finish. I used it 2 years ago and finish is still in place. It works to a point but still does not get it completely clear. This product is very good. It really works!!! It works pretty well. It&apos;s certainly better the way the headlights looked before! Unknown, weather too cold to apply yet. Works great only issue to small. The amount was good for 2 of my cars I have 3. I have not tried it yet. Too cold in Minnesota at this time of the year. Looking forward to using it in the spring.